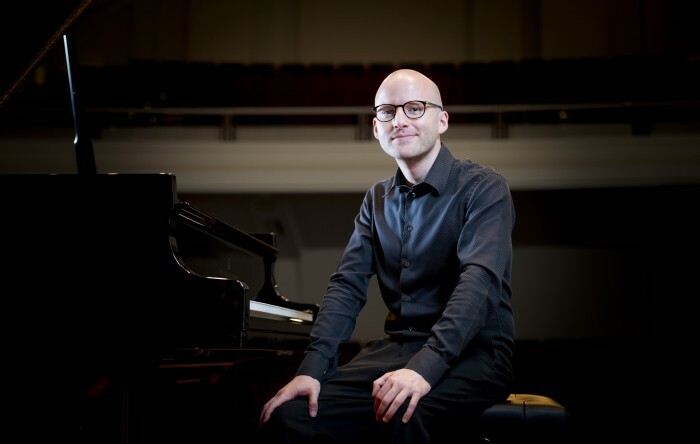 Australian pianist Daniel de Borah was a major prize winner at the Sydney International Piano Competition in 2004 and has since appeared as soloist with the English Chamber Orchestra, the London Mozart Players, and with the Royal Philharmonic Orchestra at the Barbican and Cadogan Hall, London. In Australia he has performed with the Sydney, Melbourne, Adelaide and Canberra Symphony Orchestras, the Australian Chamber Orchestra, Melbourne Chamber Orchestra and Orchestra Victoria. He has given recitals on four continents and has partnered many leading soloists and ensembles at major venues and festivals including London’s Wigmore Hall, Musica Viva’s Huntington Estate Music Festival and the Australian Festival of Chamber Music in Townsville.